I used all of my high speed data in my Verizon Plan and was switched into Safety Mode. According to the FAQs, Safety mode is supposed to be limited to 128Kbps. I assume this limit is supposed to apply to all of the time, because the FAQ does not mention "congestion" or "peek times". So far I have not experienced any slowdowns. Pandora and Netflix stream fine. 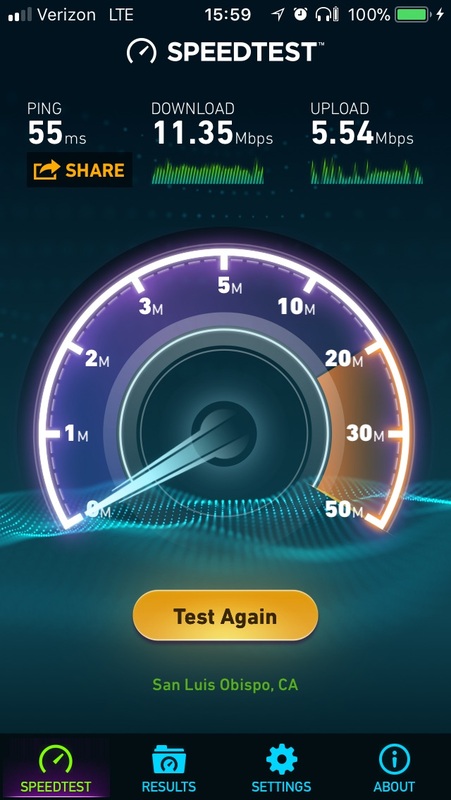 Speedtest shows 11.35Mbps on my iPhone SE. Since this is the first time I’ve been over, I wonder if this is a grace period or if this is just an bug in Verizon’s system. 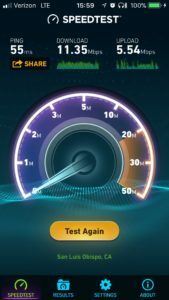 This entry was posted in Anecdote and tagged safety mode, speedtest, verizon on November 2, 2017 by Kenji Yoshino.